Let us show you what our mixing and mastering services can do for your tracks! Make an impact! Send us your stems and start sounding pro today! Contact us for details! Maybe you’ve already written and recorded your next single but your final export is sounding “under” next to commercial releases. You are not alone. A bad mix can actually ruin a fantastic song. Mixing takes years to master. You need practice, proper equipment and the know how of how to glue a track together and make it sound large and competitive in today’s pro market. Our mixing engineers have been mixing all their lives with Gold and Platinum certified albums to back up their quality of work. Trust us with a first mix and let us show you the true audio potential of your track. Simply send us stems with a few reference tracks and let us do the rest. For more details or to line up a mix, contact us today! Once your tracks are properly mixed, mastering is where we fine tune the overall balances, make a number of tracks feel as though they belong on the same album, and make the overall sound absolutely huge with volume and dynamics in a sweet spot that is in line with commercial standards. Depending on style, we will often blend “in the box” methods with some analog processes using vintage high end gear to bring additional warmth to tracks. This sets us apart from many other “quick fix” style mastering companies that simply slap on the same chain to every track received which is absolutely the wrong approach and can leave you with a ruined track. As every mix and song is different using various elements, every track requires different processing in the mastering stage to highlight key frequencies, soften others and either finalize the tracks so they are loud and pumping or in more organic styles of music, leave more dynamic range. Let us help you get it right and bring your songs to a whole other level. Contact us for more details about our mixing and mastering services! 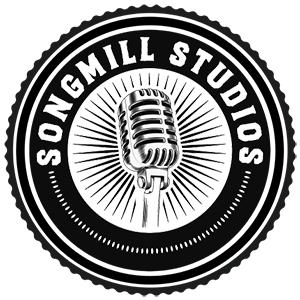 Don’t be shy to take a look at some of the other recording services we offer! Let’s chat about your project and get your tracks sounding as pristine as they could!